On Saturday 5 March, Comberbach Memorial Hall was filled with the entries from FoAM’s 2010 Photographic Competition. The standard of entries was even better than those in our 2008 Competition and all 70 entries were mounted and displayed on the day. More than 50 visitors came to see the exhibition. 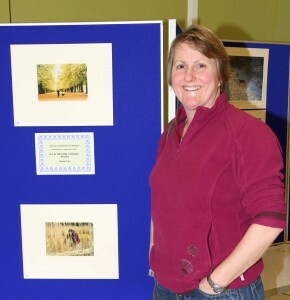 Those who had entered the Competition were eager to find out which photographs had been judged as winners or commended entries in each of the three categories. Helen Price had the winning entry in the ‘Fun in the Park’ category, which the judges described as ‘ Perfect, a brilliant shot’. Our thanks to Andy Harmer and Nick Jones for agreeing to act as judges for the competition. Don’t forget to pay a visit on Saturday 5th March to the exhibition of photographs entered in our 2010 Photographic Competition. Seventy photographs have been judged and will be on display. You still have time to enter our photographic competition. The closing date is 31st December 2010. The rules are available from the Rangers’ Cabin or from the 2010 Photographic Competition category on this website. Get clicking and good luck!